Mara Music is one of the key World Music engine rooms in Australia. Llew and Mara Kiek, artistic and musical directors of Mara! and Martenitsa Choir, perform, direct or collaborate with many groups and artists in Australia and overseas. They are renowned musical directors in theatre, dance and festival programs with years of experience and many awards. Both have substantial cinema and TV recording and musical direction credits. 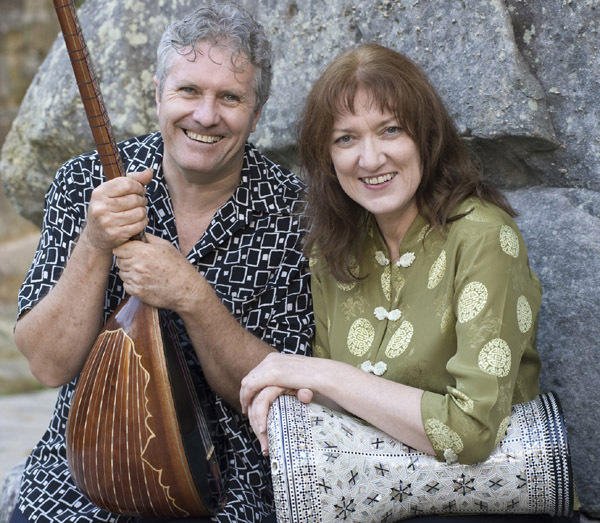 Llew is one of Australia's key medieval and world music plucked string players and is a highly regarded recording producer in world music, a cappella and classical genres. Mara is a renowned singer and percussionist, an expert in the Bulgarian?vocal style, and one of Australia's key vocal tutors and workshop convenors. Together Llew and Mara have toured in over 20 countries with the Mara! band and widely in every state and territory of Australia. In addition both have worked in other internationally touring ensembles. Over the past 30 years, Mara and Llew have devoted a substantial part of their time and energy to music education around Australia and overseas, particularly through the Musica Viva in Schools program. In addition to arranging tours for Mara Music artists in Australia and overseas, we have also organised and managed Australian tours for selected international artists. As a logical extension to these activities, Mara Music also records, produces and manufactures CD products for our clients. The Mara Music engine is fuelled by the tireless efforts of administrator Naomi Vaughan and operations manager Jane Birmingham.